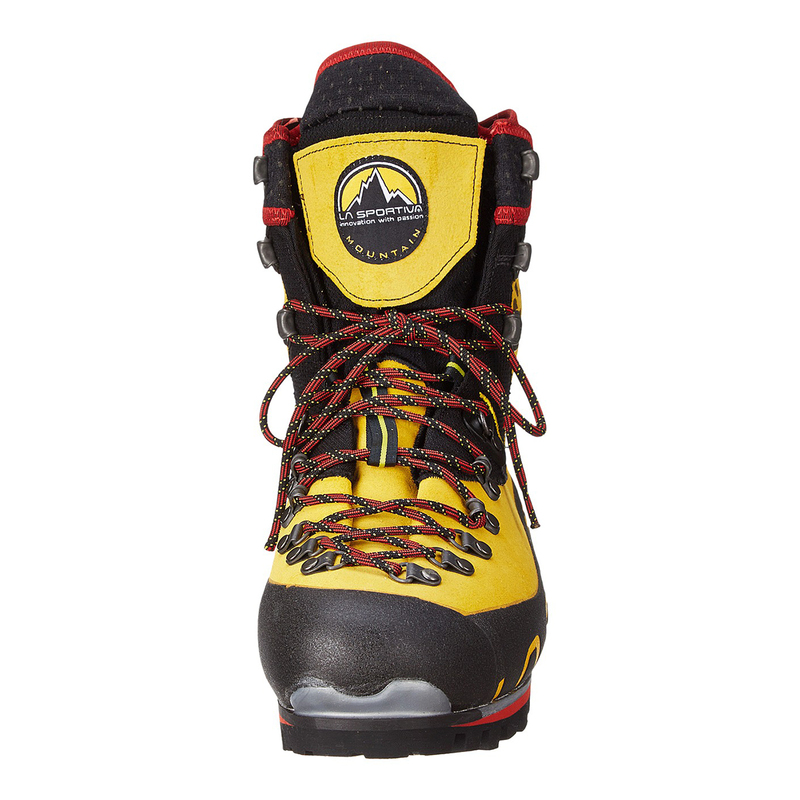 The La Sportiva Nepal Cube is a technical mountaineering boot that is exceptionally lightweight - a mere 825g per half pair- with great thermal properties. 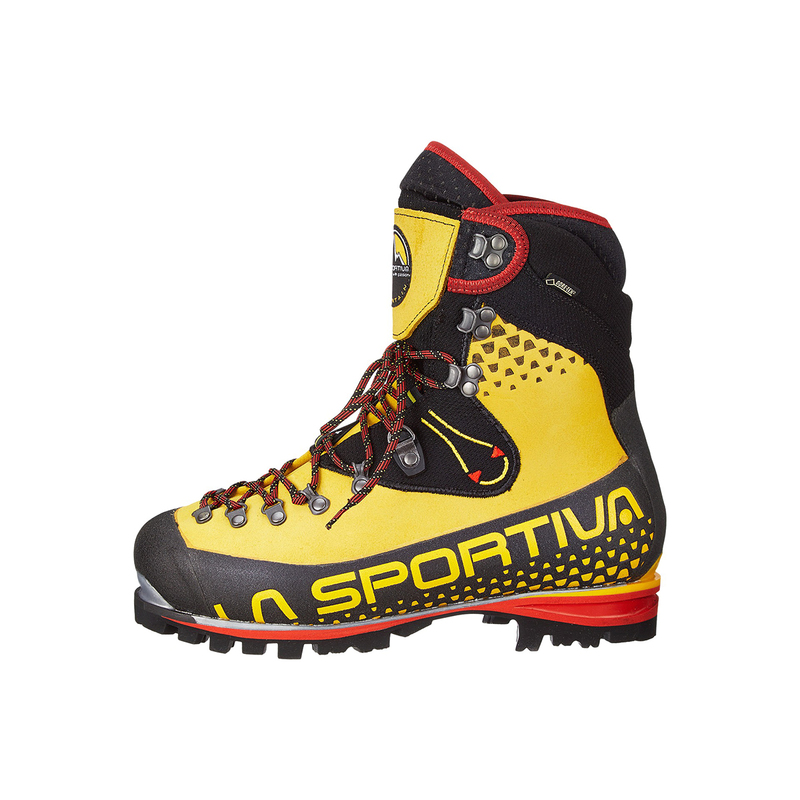 A pair of La Sportiva Nepal Cube (size 42) is 470 grams lighter - almost 15% - than the same size La Sportiva Nepal Extreme. The Cube achieves its reduced weight thanks to a sole/midsole using a Carbon Tech honeycomb, a thermal footbed and lightweight mini steel parts. The Gore-Tex Insulated Comfort lining contributes to the overall comfort of the boot, guaranteeing breathability and water resistance. EZ OUT technology for the tongue allows more precise regulation of the fit and encourages the elimination of sweat via a mesh fabric which draws humidity to the surface. The 3D Flex System provides comfort during walking and support for the ankle on steep terrain. Vibram sole with Impact Brake System provides excellent traction for both up and downhill terrain. Nepal Cube: the origin of a new species. The 3D Flex system in the ankle provides extra flexibility for added comfort when walking, or when you're in a difficult situation on the rock. Gore-Tex Performance Comfort is specially designed for use as a lining in shoes. It is designed to moderate the temperature of your feet in moderate temperatures, and is, as always, completely waterproof. It’s great for hiking boots and three-season mountaineering boots where you’re not going to get too cold but will need protection from bad weather. Great boot. Poor delivery. Ordered twice from epic tv with the quoted 3 day delivery time has been 5 working days on both occasions. So annoying when you have trips planned! Used it in mixed climbing - no problems and complaints so far. Perfect fit, no problems with blisters. Bombproof quality and warm when being in movement. It is almost unspeakable how good these shoes are, but I will give a try. Nope, I can not describe the them, they are too good for any words, so just buy them, you will not regret it. Great flex in ankle, very lightweight and warm as promised. Super comfortable!